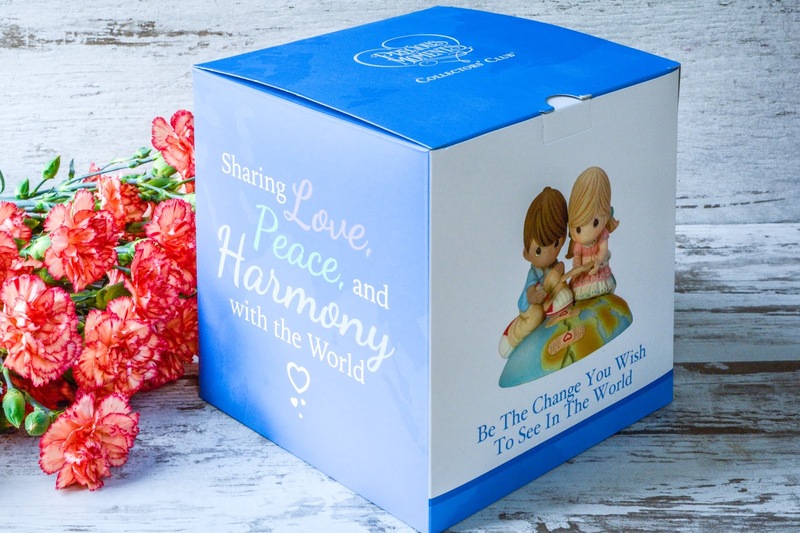 Theresa's Mixed Nuts: Precious Moments Collector's Club Offers Exceptional Perks for Members! 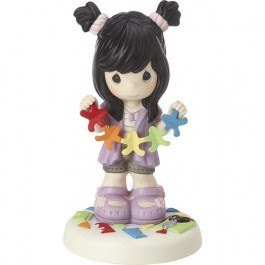 Precious Moments Collector's Club Offers Exceptional Perks for Members! *Disclosure- I received the mentioned products courtesy of the sponsor for the purpose of this review. All opinions are genuine, based on my experience with the product, and have not been influenced by promotional items. I have been in love with the Precious Moments line for as long as I can remember. Long before the days of the internet, I remember making trips to Hallmark just to scope out the wide selection of beautiful figurines they had in their display cases. I think what draws me into the brand so much is how good and wholesome it is. Each character is not only beautiful to look at, I love the positive messages of loving, caring and sharing that they convey. For more than 3 decades, Precious Moments has touched the lives of millions around the globe and is among the most recognized art in the world. 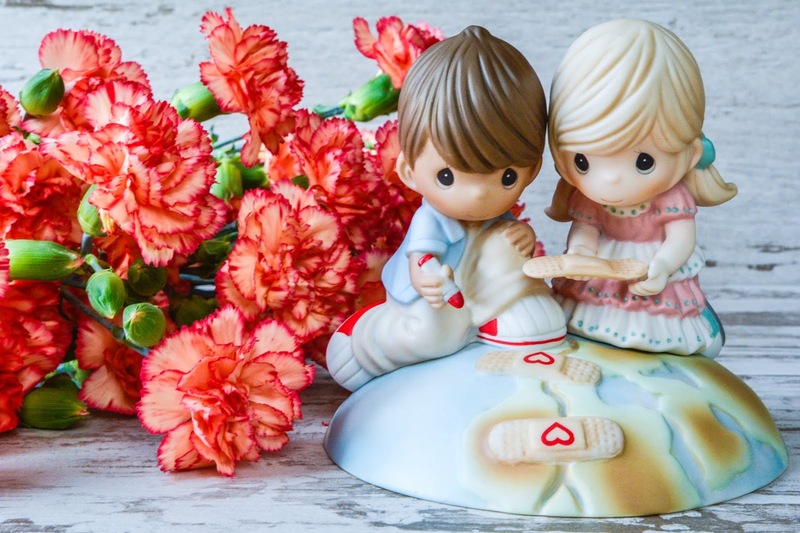 As we are now taking more of an online approach to shopping, I don't get to the card stores much these days, but I do love to browse the Precious Moments website often to see what new works they have created. If you're like me, with the preference to window shop in the comfort of you home, you'll be pleased to know that Precious Moments has released their exclusive Collector's Club figurine for 2019: All Are Precious In His Sight. I have Be The Change You Wish To See In The World and just love it so very much. Not only is that one of my favorite Gandhi quotes, with the state of the world right now, this figure is a beautiful reminder that we all have to power to go out into the world and make it a better place for all. The figure is meticulously sculpted in bisque porcelain and expertly hand painted, and measures approx. 5H x 5.5W x 5.5D inches. I don't think the website or my photos do this figure justice because it's even more beautiful in person. I love the details on the figure and the soft pastel colors and plan to give it to a family member who is expecting her first baby this summer. I think it will look especially lovely in a nursery, but really it would also brighten up any spot in your home where you choose to display it. The figure comes securely packaged in a nice box, ready for gift giving (or for storage for those of you who are collectors yourselves). Again, this figure is only available for purchase for the Precious Moments Collector's Club Members and is not available for purchase by the general public, so if it's one you want to add to your collection, be sure to sign up for the Precious Moments Collector's Club today, that way you'll have access to this figure plus additional Members' Only exclusive figures throughout 2019. 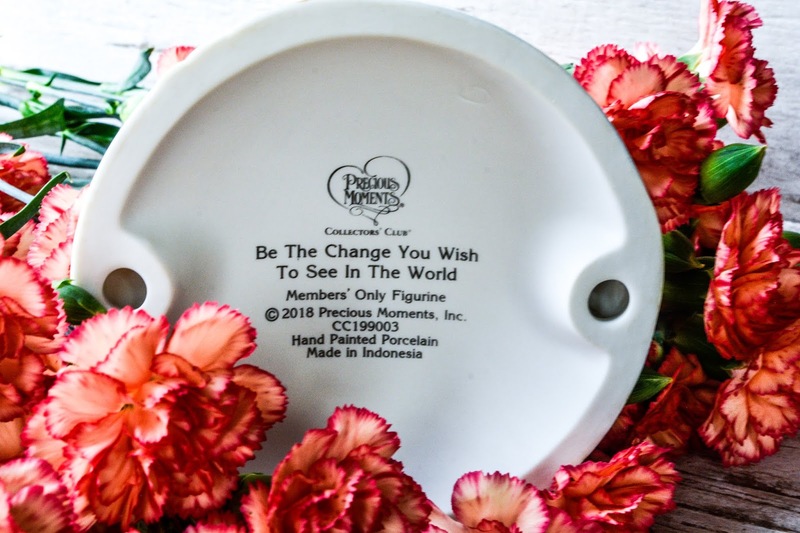 You can learn more by visiting Precious Moments on their website, Facebook, and Instagram. Which of the three figures featured here do you like best? Oh fun! I had no idea they had a collector's club. My grandmother has a HUGE Precious Moments collection, and they always make my heart happy. I'm sure you love looking at her collection when you visit. Makes it easy to buy her a gift too, since you know she's such a fan too. They have many interesting and adorable things to collect there! I see those at Hallmark, they are too cute. They are so cute, aren't they!? I remember Precious Moments figurines at my aunt's house when I was a kid. She had a LOT of them. That is awesome they have a collector's club. I've always thought that those things are so cute. My grandma had some when I was a kid. I have collected these for my daughter. I hope someday she puts them in her own children's rooms. They have such characteristic dolls. I have seen them all over! 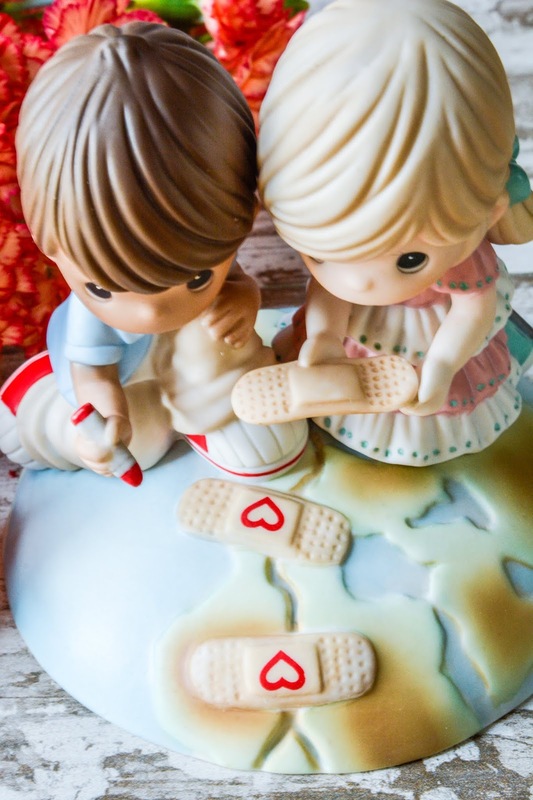 I think the Precious Moments figurines are adorable. We were in a Hallmark recently and I was thinking, 'wow, it's been awhile!' Like you, I'm more prone to shop online these days. 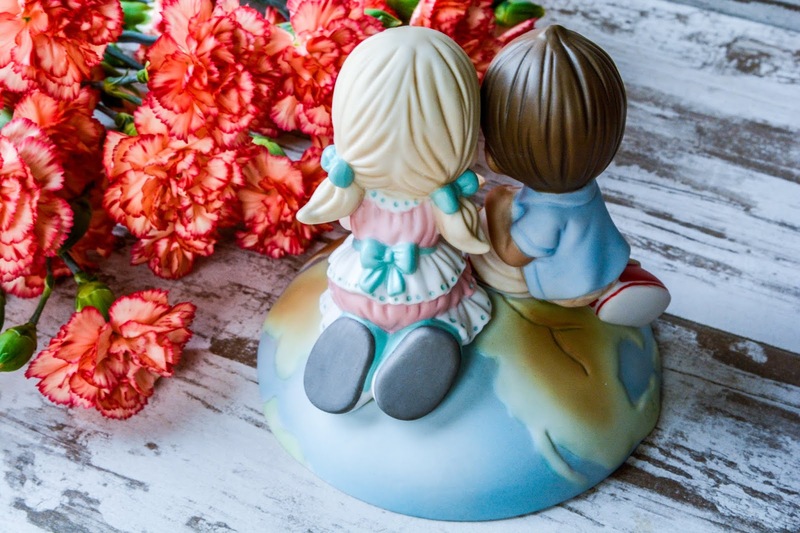 I love Precious Moments figurines. I actually envy my friend because her grandma collected them and now she has them all and they are absolutely beautiful (and many too!). I love collectibles! My grandmother used to give me these porcelain angel figurines that displayed how old I was. I absolutely adore them & still have them to this day. My mom used to collect these. :) They are always so sweet and such a variety of designs. These are super cute as well! I've loved Precious Moments for years! My mother got me a Precious Bible when I was a kid. So sweet. I think I like the heart bandaid one.